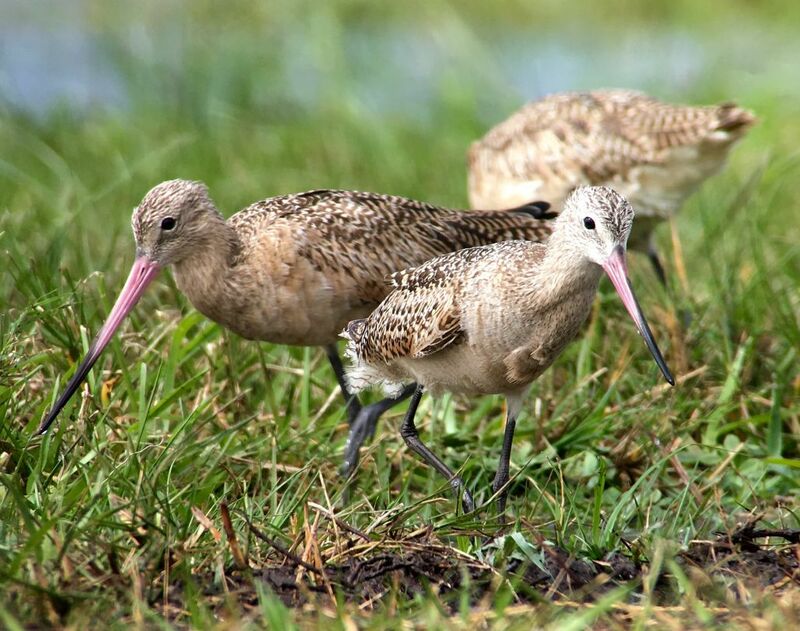 Can you ID these shorebirds? Don’t worry, a few years ago, I couldn’t either. Shorebirds seem to be a dividing factor for many in the birding community. Some people see the above birds as a meaningful pursuits, while others see them as birds they will never understand and would rather pretend they didn’t exist. I fell into the latter category for years. And then I met a guy named Doug Buri from South Dakota and he taught me not only how to identify shorebirds, but also how to approach them to get photos. 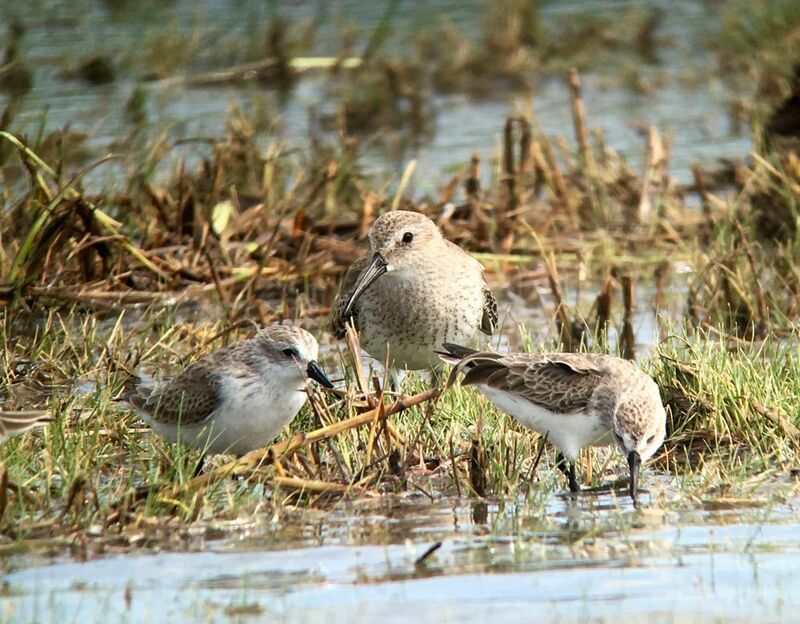 Incidentally, the birds in the above photo are one Dunlin surrounded by two Western Sandpipers. 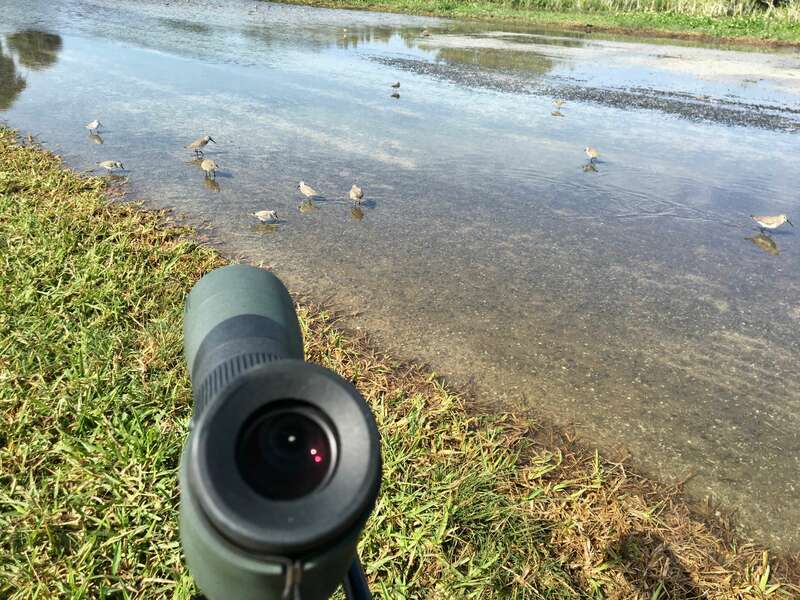 With a little patiences, sometimes shorebirds will walk towards you…though they can be too close to digiscope. 1. Get Closer. As promised, one August I visited Dough and he gave me a primer on common shorebirds in my area and it made a huge difference not only of my enjoyment of them, but also photographing them. Shorebird migration can start as early as mid-July where I live in the northern US. When the birds hatched this year head south, they don’t know enough to be afraid of humans and you can get relatively close. Doug said that the thing to do is find a spot where the birds are, keep the sun behind you and if they fly off, stay where you are, they will resume foraging and even walk towards you on a mudflat. As they get closer and closer, you learn their behavior, movements and truly see the shape and field marks that help identify them. I use this technique to this day if I’m someplace where shorebirds abound and I have my PhoneSkope set up. 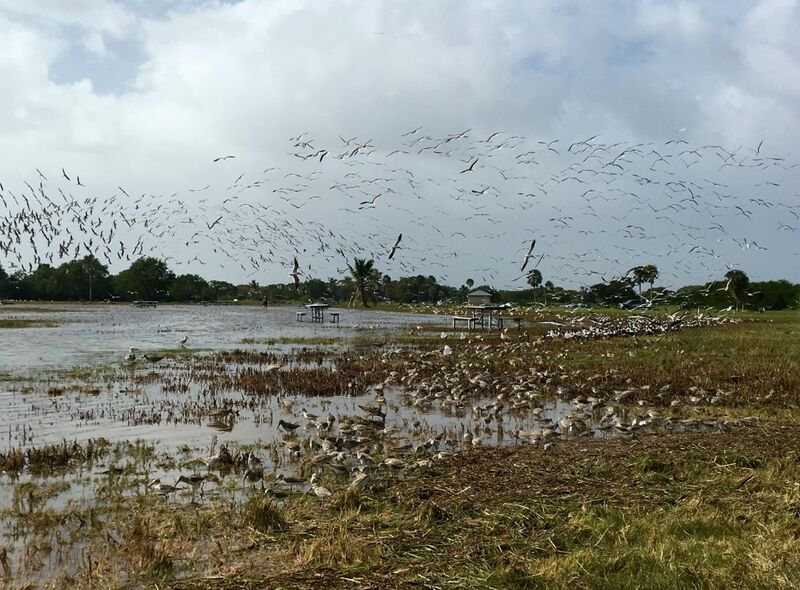 This flock of shorebirds and gulls took off when I found a seat at a nearby picnic table. But after a moment, they settled down and came within a few feet of me. Marble Godwits foraging in the Everglades. 2. Get Low. Another technique to keep in mind is to get as low as you can. Okay, if you are standing on a mud flat, perhaps laying down isn’t your bag, you can’t find other ways. I was once birding around Everglades National Park and found high tide has flooded a picnic area, I sat on the bench and lowered my scope to get shots. If you are on a beach and you can get the sun behind you and the tide in front of you, you can sit or lay down as the water pushed the birds further inland. One of the best days I ever had in my life was hanging around at the beach near the South Padre Island Convention Center while the tide brought in not only shorebirds but Least Terns and Black Skimmers. Least Sandpipers are so tiny, they easily are hidden grass. Pro-tip from my friend Doug: Ask yourself if the bird is super tiny and the legs are lighter than the beak? If the answer is yes, it’s a Least Sandpiper. 3. Find Interesting Backgrounds. Another way to make your bird photos pop is to try and position yourself so the birds have a good background that highlights the plumage. This also reminds of you what sort of habitat you see birds in which can help identify them. 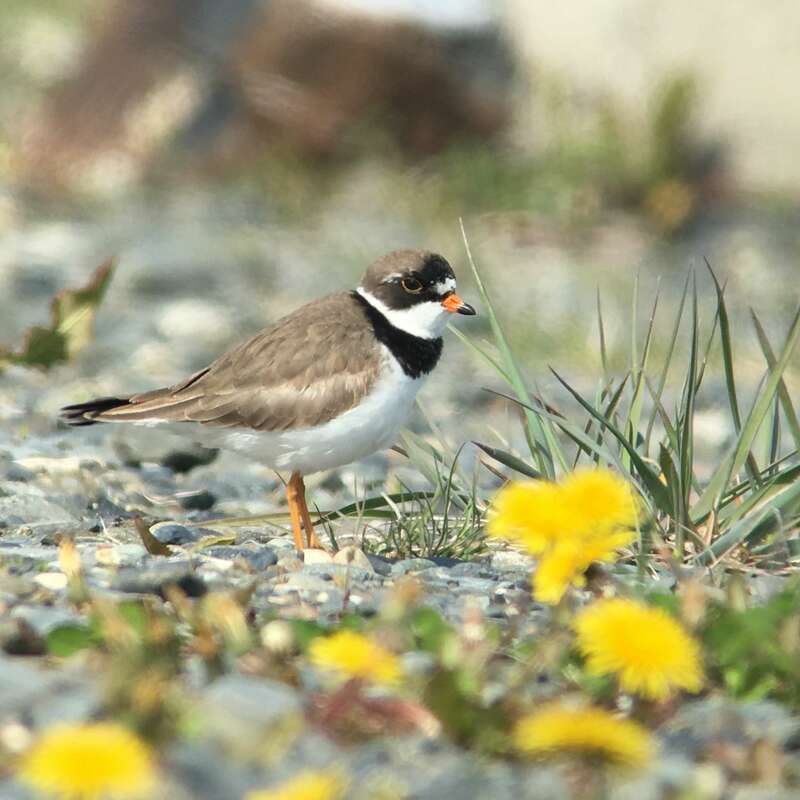 Semi-palmated Plover surrounded by dandelions in Homer, Alaska phoneskoped while sitting on the ground. 4. Be Creative. You can still be creative at sunrise and sunset. If you lock the auto exposure of your phone by pressing on the screen on the light you want to focus on with your finger and hold it, then you can have gorgeous evening colors. Once you have locked the exposure you can then refocus the image with your spotting scope to get interesting silhouette shots. Shorebirds have such wonderful shapes with bills tipping up or curving down, they make fascinating models. 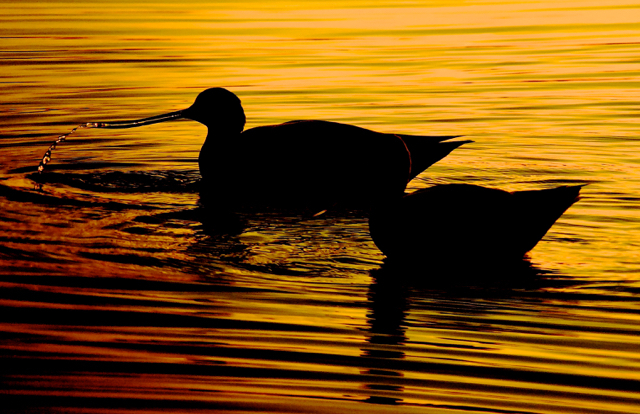 Use your smartphone’s ability to lock exposure to capture the colors of sunset and get silhouette shots of the unique shapes of shorebirds like these American Avocets in Titusville, Florida. 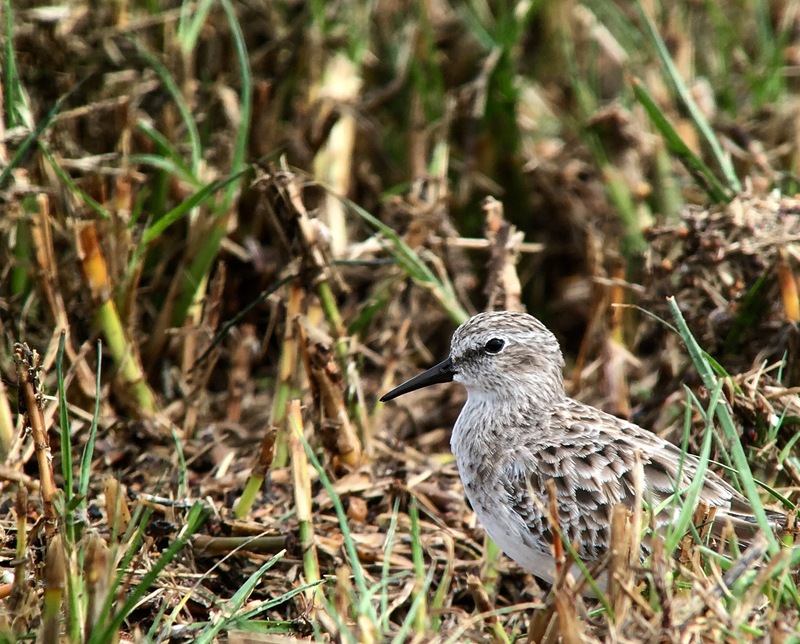 Shorebirds are tough, but getting pictures of them can certainly help your study to learn the subtleties to tell them apart. If anyone is offering workshops in your area that can certainly help. Another great resource is The Shorebird Guide, a fun textbook with amazing photos to help you sort them out.